Disclosure: I was compensated for this post. All opinions and experiences are my own. I love using a slow cooker for meals. Nothing could be easier and I also like that it is done ahead of time. 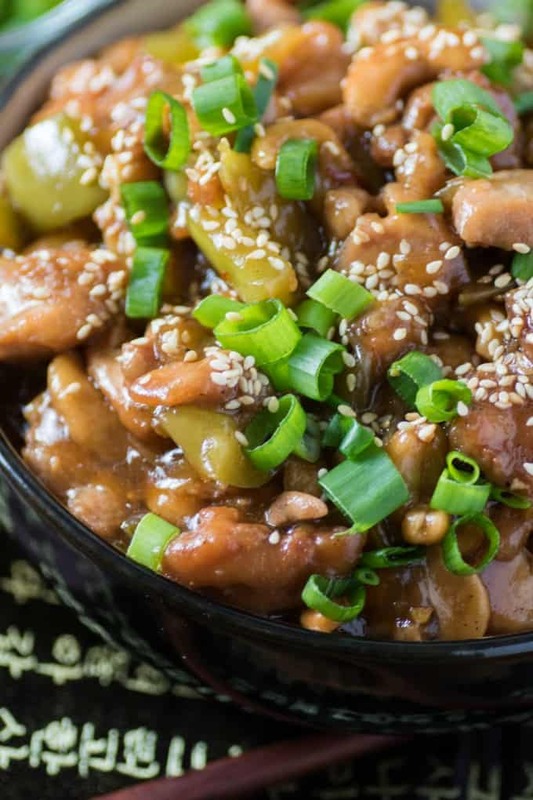 No rushing to get dinner on the table with this Slow Cooker Asian Cashew Chicken. No crazed feeling of getting dinner made, eaten and out the door you go. It is ready and waiting for you!! With the new Hamilton Beach® Professional Sous Vide and 6 Qt. Slow Cooker, dinners are made while you go about your day. In a hurry and don’t have 8 hours left for slow cooking, no worries this recipe is done in 3 hours on low. I will show you how to make the whole recipe in this simple video. 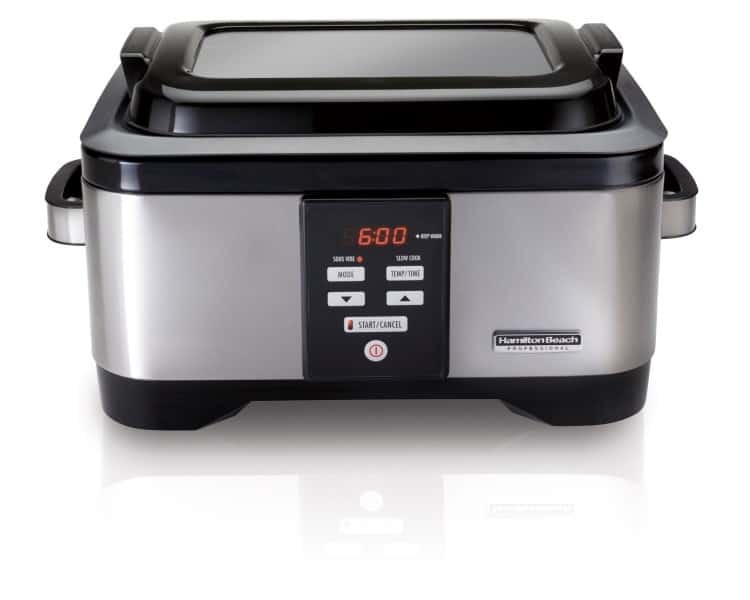 Another great appliance to help you with a busy day is Hamilton Beach Rice Cooker/Steamer. I use mine all the time to cook up gorgeous rice, it is a must to go with this recipe. I also love to add in some other ingredients to plain rice like in this Rice Cooker Rice Pilaf or a Pineapple Coconut Rice, which goes gorgeously with Asian dishes like this one. This recipe is better than take out and your family will love it. No MSG or high salt content, you know what goes into the recipe so you can make it deliciously healthy too! Succulent chicken, crunchy cashews plus veggies and an excellent sauce makes this recipe a sure fire hit that you will want to make again and again. 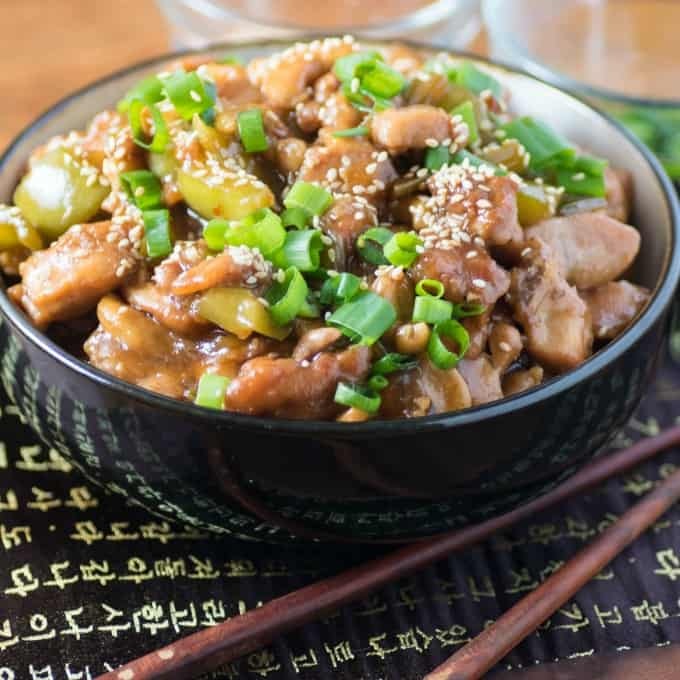 This would make a great weekend meal also with some added dumplings or pot stickers along with rice. Whip this up in the afternoon on a Saturday or Sunday and you will be feeding the family in no time. Here are the great product feature of this Hamilton Beach® Professional Sous Vide and 6 Qt. Slow Cooker. Programmable slow cooking mode gently cooks food over a long period of time, retaining its flavor and moisture. Automatically shifts to warm when cooking time is up. Sous vide water bath temperature can be set from 104°F to 210°F (40°C to 99°C) and can be programmed to cook between one and 72 hours. Flexible programming controls let you set your preferred cooking time and temperature. A better than takeout Slow Cooker Asian Cashew Chicken will have you making this for the family again and again. Cut chicken into bite sized pieces and set aside. In a large zipper plastic bag add half the cornstarch, baking soda, salt and pepper. Shake in half the chicken. Remove and repeat until all is well coated. Set aside. In a fry pan heat 1 Tbsp. canola oil and saute the onion and celery on medium high. Remove when onion is translucent. Add more oil and cook chicken in two batches to brown, using a small amount more oil if needed. Whisk together the sauce ingredients. Add the chicken, onions, celery and sauce to the Hamilton Beach Slow Cooker. Cover and cook on low for 3 hours. About ½ hour before the meal is finished whisk the corn starch with the cold water and add to the slow cooker. Add in the green peppers and cashews. Turn the slow cooker to high and let cook for 30 minutes or until bubbling and thickened. Adjust seasoning. Serve garnished with sesame seeds, green onions and accompanied by rice. 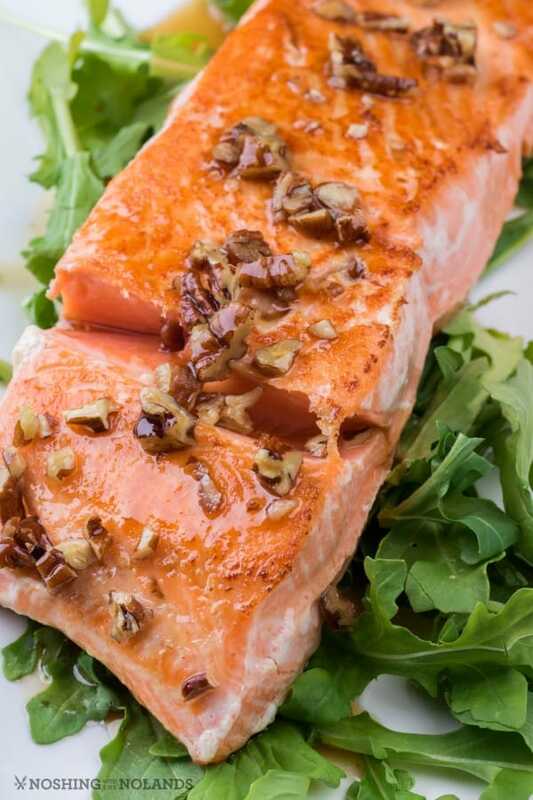 I also have used this slow cooker/sous vide to make the best salmon ever, Maple Bourbon Pecan Salmon. It is a great multi purpose machine. Instead of buying just a slow cooker or just a sous vide this machine can do both!! That looks super tasty. 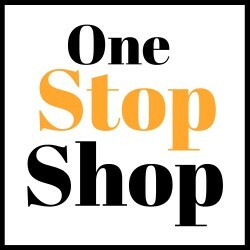 I love all the slow cooker recipes you share with us. I’ve made so many of them, and they are always even better than they look! This looks DELICIOUS! I love Asian food. 🙂 And anything in the slow cooker is my cup of tea. Asian food is probably some of my favorite food. They have so many interesting in different flavors. Anything I can do in the slow cooker I am all for! Oh I love this Hamilton Beach Slow Cooker! It’s getting that time of year when crock pot cooking is the norm. 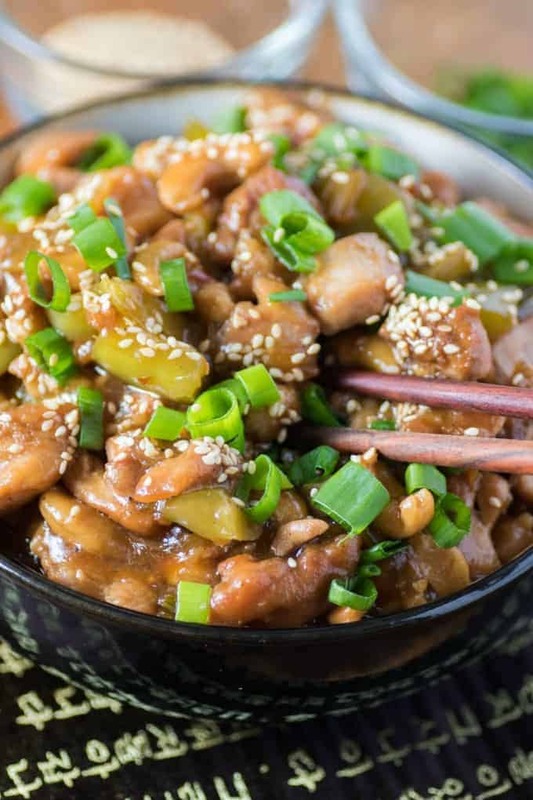 I love this asian cashew chicken recipe! That looks delicious! I need a rice steamer badly. My rice always turns out soggy. I’ll have to check out Hamilton Beach! I wouldn’t cook it any other way!! I’ve been wanting to get a rice steamer. This looks delicious and I think the steamer would come in handy to make this soon!